Near hurricane-force winds hammered Cordova on Tuesday, setting a derelict fish processing boat adrift on Prince William Sound. The Polar Bear, a 100-foot processor that hasn't been used in years, had run aground on Hawkins Island by Wednesday morning. The U.S. Coast Guard, Alaska Department of Environmental Conservation and response crews arrived at the stranded boat Wednesday to look for pollution and try to remove the boat before more bad weather arrived. No pollution was immediately detected. 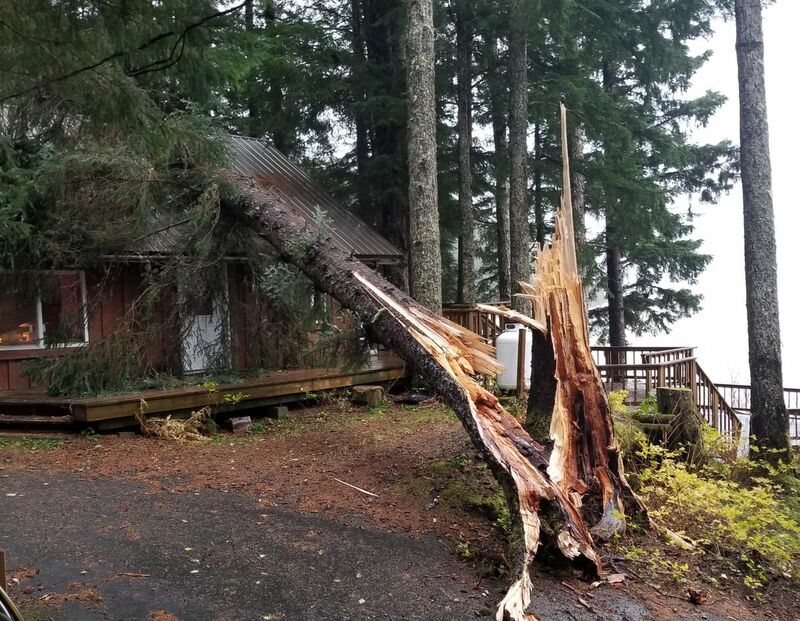 Trees snapped and a marina warehouse also collapsed in Tuesday's storm, unusual for its severity and for the duration of the wind gusts that howled until 9 or 10 p.m.
"It was pretty brutal," said resident James Dundas. 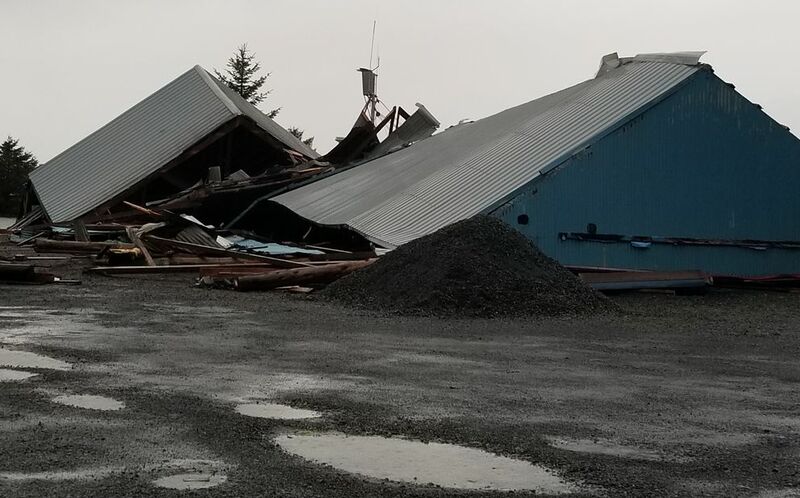 Cordova is no stranger to stormy weather, but the long, hard gusts in this storm surprised even longtime residents, Dundas said. "These ones seemed like five to seven seconds of just rolling force," he said. "Once the trees bent over it just held 'em and held 'em and held 'em." Dundas spotted metal blown from neighboring roofs in his trees. He checked on his 33-foot aluminum gillnetter in the harbor but didn't dare get too close for all the flying debris amid a fog of wind-churned seas. Gusts over 90 mph — among the highest of the day — hit the Cordova harbor when the Polar Bear, a 100-foot fish processor, broke free and started a slow drift into Prince William Sound. The vessel had been moored outside the town breakwater for the last 10 years, according to harbor master Tony Schinella. The boat's owner, Mike Smith, got permission from the city to do so. The Polar Bear hadn't moved in the last three years, Schinella said. It was spotted aground on Hawkins Island, across a channel from town, at first light Wednesday. A Coast Guard cutter was on scene. An Alaska Marine Response work boat also made the trip to the Polar Bear on Wednesday morning. Andy Craig said his main concern was whether oil was leaking from the boat. A friend said Smith was in Bethel when his boat broke loose. But his brother, in Cordova, told Craig there was less than 1,000 gallons of oil aboard the Polar Bear. The boat drifted off during a 13-foot high tide, with a few feet more water from the storm surge generated by wind, Dundas said. "We only get a couple of 15-foot tides a year. It's going to be a matter of some serious horsepower or digging," he said. Thousands of derelict vessels litter shores and coastlines around Alaska. A new law gives harbor masters additional tools to deal with them, according to Geoff Merrell, DEC's central region manager. 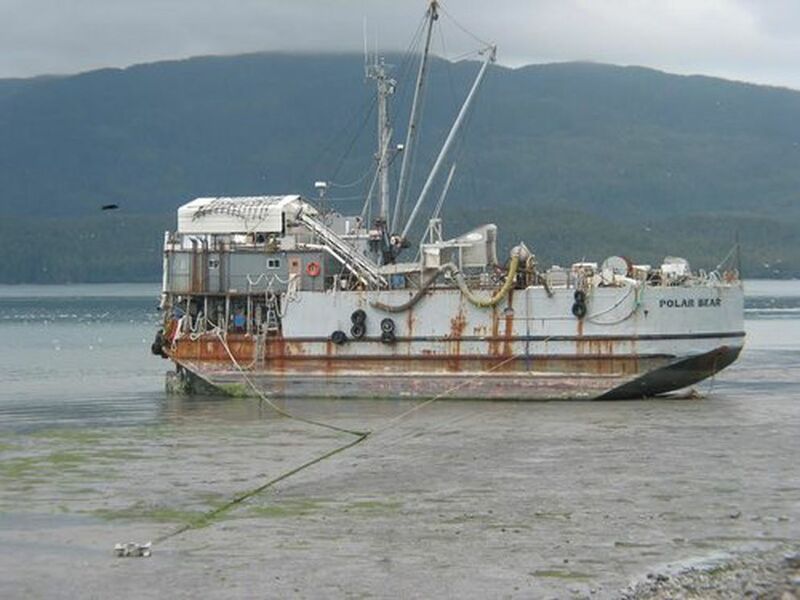 It also gave the Alaska Department of Natural Resources more authority to dispose of vessels. The Polar Bear isn't abandoned: Smith and the DEC have been working together for "a while," Merrell said. Authorities on scene are trying to figure out the next steps before the weather worsens, he said. "We have kind of a limited window."